Palm Pre: We finally have a release date! Palm and Sprint have finally announced the official release date and pricing for the upcoming Palm Pre. The Pre will be release on June 6th (2 weeks!) for $199 with a two-year service agreement and after a $100mail-in rebate. It will also require a Everything Data plan, which will run at $69.99 a month with450 minutes. 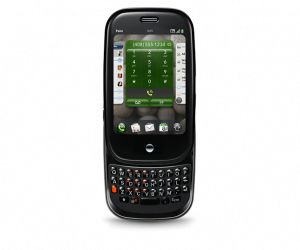 This is on par with the cheapest iPhone plan, but it comes with a big advantage, namely unlimited texting. You can also get Sprint’s Simply Everything plan for $99.99 a month, which includes unlimited voice, text, and data. So, overall the Pre is going to be running on par with the iPhone in terms of pricing, but it will be interesting how the release will pay out with it’s release being so close to Apple’s WWDC (Which is June 8-12), where Apple is expected to release iPhone 3.0, and possibly a new iPhone. Say tuned during the next two weeks, this is going to be interesting. UPDATE: Forgot to include this earlier, The Pre will be available at Sprint stores, Best Buy, Radio Shack, select Wal-Mart stores and online at Sprint.com. You can also read the full Sprint Press Release here. Also, it was posted at Endgadget that the Pre will be $549 with out a contract acording to Sprint customer service.